One destination that has always been on my travel radar is Greece. I can remember hearing about Greece from friends and family when I was younger. Over the years I have begun to hear more and more about it. 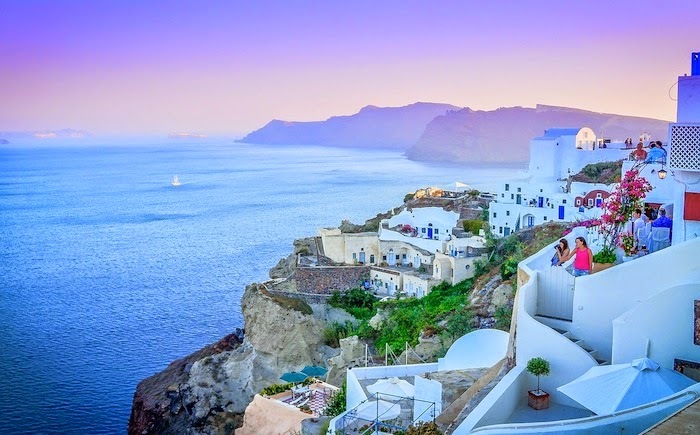 I have dreamed of lounging on the gorgeous white sand beaches, sipping wine while viewing the sunsets in Santorini, and exploring the historical aspects of Greek history throughout the country. As such, there have been several occasions when I have looked into booking a trip to Greece. Unfortunately, between Nick's hockey schedule and the few months we have back in the U.S., I have not yet been able to visit this bucket list country and rather must dream of the day I do visit. Today, I'm going to look at the things I would most love to do while visiting Greece! Santorini is definitely at the top of my list for Greece. If I only had one day to spend in the country, I think I would choose to spend it in Oia, one of the cities on the island of Santorini. Santorini is located in the Aegan Sea, and it is easy to imagine myself sipping wine while watching the sunset, or enjoying Oúzo by the sea. Beyond the views, Greece has significant history to offer any visitor. 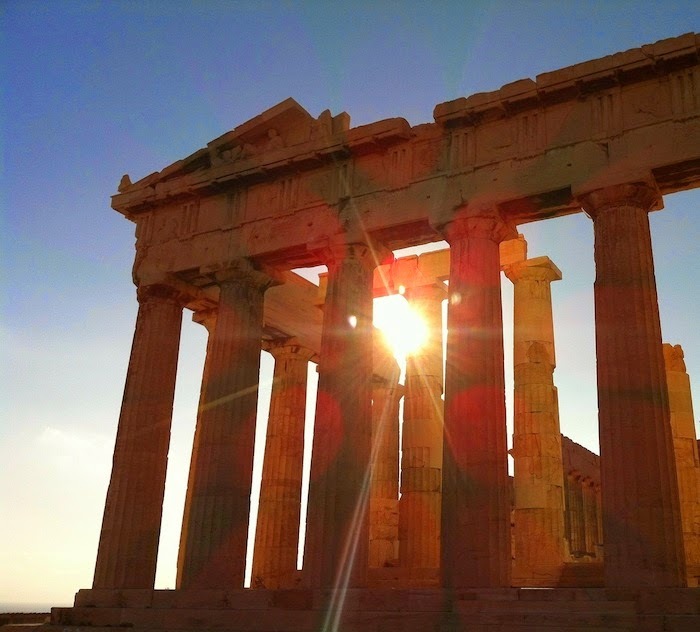 With 17 UNESCO heritage sites, as a visitor to Greece you are never far from learning ancient history. The most famous UNESCO heritage site is certainly the Acropolis in Athens, featuring the Parthenon. The Parthenon dates back to 447 BC, and is known as one of the world's greatest cultural monuments. Mainland Greece and the Greek islands border the Ionian Sea, the Mediterranean Sea, and the Aegean Sea. No trip to Greece would be complete without at least a day spent lounging on the beach, taking time to cool off from the sun in the cool sea water. 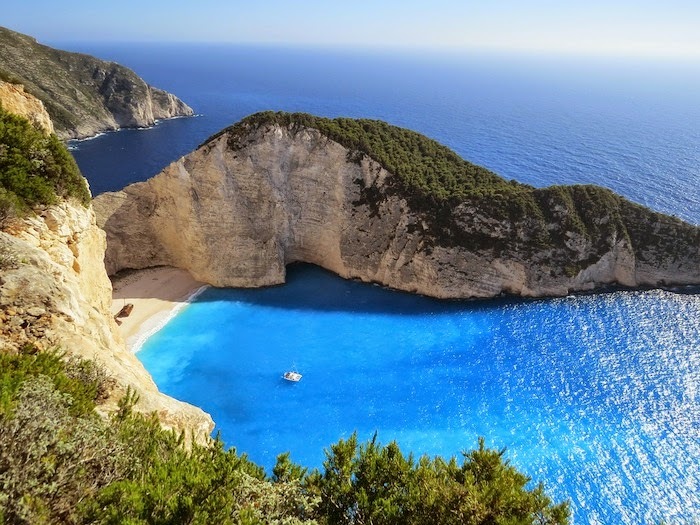 Speaking of the water… when visiting Greece, I am sure I will want to go sailing or on a cruise, using this as a method to hop between the mainland and explore the various Greek islands. Beyond just exploring Greece, I would also love to book a trip to Turkey for a day or two. With such close proximity, it would be the perfect opportunity to explore several new countries. 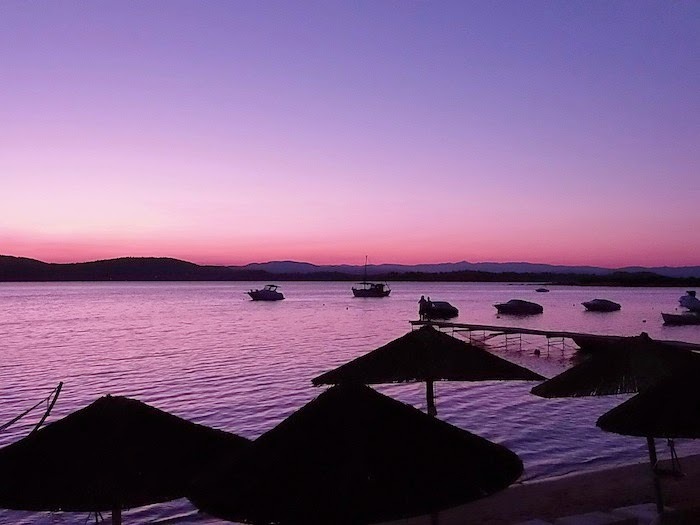 Every evening, I would have set plans to watch the sun set over the sea, and reflect on my days spent relaxing and enjoying my time in Greece. Even just writing about Greece and looking at the stunning pictures has made me crave a day in the sun. For now, I will have to be content with researching my future trips, and living vicariously through friends and family's Greece holidays! Have you ever been to Greece? Is it worth waiting for the warmer summer months, or should I just take the plunge and go during the cooler winter months? Greece is just amazing! We spent two weeks island hoping at the end of September/beginning of October and it was perfect. We are already talking about when we can take another trip back there! Ohh, I'm so jealous! I have always wanted to go to Greece and it just hasn't worked out with Nick's hockey schedule. And I really feel it is a place I want to go with him, otherwise I'd definitely be going solo by now! 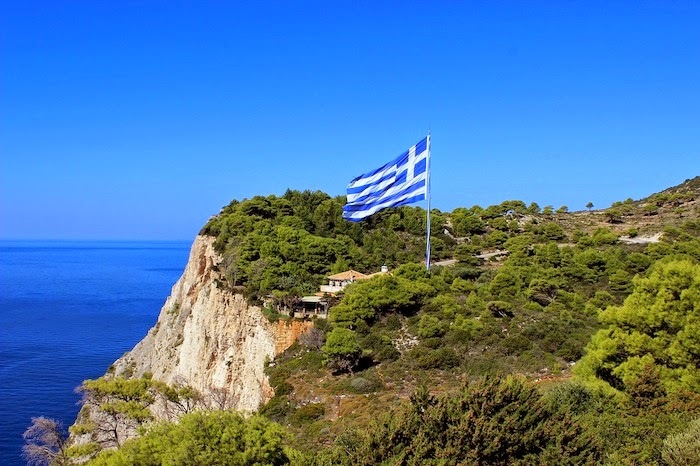 Greece has always been high on my bucket list too! Hoping I'll make it there this year! I'll cross my fingers for you! If you do go, you'll have to take a million pictures so I can live vicariously through you! You will love Greece! There's always something to do, the food is great and the nightlife is pretty cool. I'm dying to get back! Thanks Ana! I can't wait to go one of these days. Just have to wait for my hubby to have the time off in the warm months! I'm looking to plan a trip to Greece sometime in the next year! My coworker just returned from there and couldn't stop raving about it. The best part? Due to their tough economic times tourism is their biggest source of revenue so it's very easy and relatively cheap to travel there, plus you are helping the country out greatly. So jealous of your trip! I've been dying to go and haven't been able to yet. Like you said- it is definitely cheap to travel there, and it helps the country out. I've got to get there one of these days! I hope you make it quickly then- I so can't wait to get there! Thank you so much for taking the time to read and comment on my blog! I truly appreciate and will take the time to respond to each of your comments. Please, do not post links unassociated with my content as they will be deleted. Hello and welcome! I am Samantha Angell, and this is my blog! This is my place to write about life, love, traveling, and the overall pursuit of happiness. To learn more about me, Click Here.